Immaculate Home Improvements offer a leading extension service throughout Bournemouth and the surrounding Dorset towns. 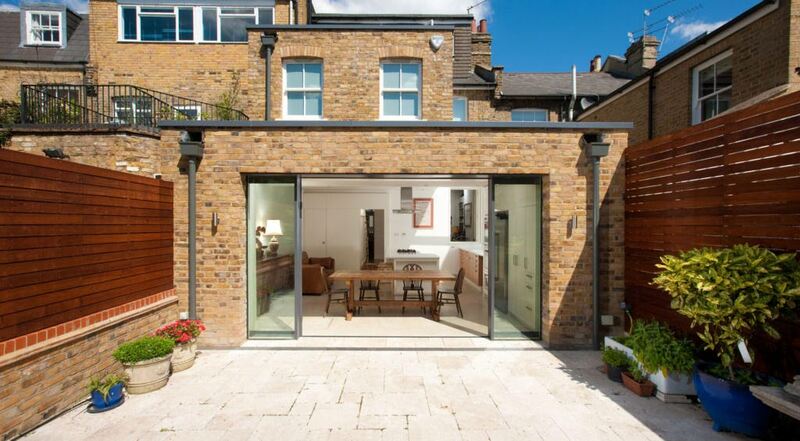 Our in-house team of experts have more than twenty-five years’ experience in property renovation and extensions, offering a complete service at a highly competitive rate. There are several motivations why homeowners choose to extend their property. Family growth and increasing the overall value of the property are amongst the most common. In an economy where property value is only increasing, extending your home is progressively becoming the favoured option over moving property. We can minimise the cost of extending your home thanks to our exclusive position within the building and construction market. Our team consists of qualified builders, an architect and installation experts. Meaning we never need outsource work, reducing the total cost. Why Choose to Extend Your Home? No matter of your incentive for considering an extension, Immaculate Home Improvements will be with you every step of the way. We can offer design and structural advice, which windows and doors would work best and tips on saving energy and tightening security too. Immaculate Home Improvements offer our building and construction work in Southbourne, Bournemouth, Christchurch, New Forest, Sandbanks, Poole, Lymington, Boscombe, Wimborne, Corfe Mullen and the surrounding Dorset towns. We are happy to offer extension and construction services outside of these areas for certain projects. Please contact us for further details. In House Architect – We are a professional, full-service building and construction company, complete with our own full-time architect. Reduce the cost of your extension by choosing Immaculate HomeImprovements, Bournemouth’s extension professionals. Skilled Tradesmen – All staff at Immaculate Home Improvements have been subjected to thorough training and development programs, keeping us all at the top of our game. We have over twenty-five years in building, construction and home improvements. Fully Accredited Company – Immaculate Home Improvements are a fully accredited building and construction company. We belong to several respected associations and organisations, including Topseal Approved and Checkatrade. Committed To Satisfaction – Extending your Bournemouth property is a big commitment, and you are right to have questions and queries. We are 100% committed to our customer’s experience and well-being, always just a phone call away. Being a complete home improvement building and construction company, we can offer competitive rates for our extensions. If you are looking to increase the value of your home by investing in an extension, speak to one of our team members today. Send us an email via our contact form or call us on 01202 427700. Our friendly team members are happy to help.